Tennis courts are sturdy and long-lasting but if they are not looked after properly they can wear down just like any other surface. And the truth is that a lot of this wear is avoidable if you take sensible steps. 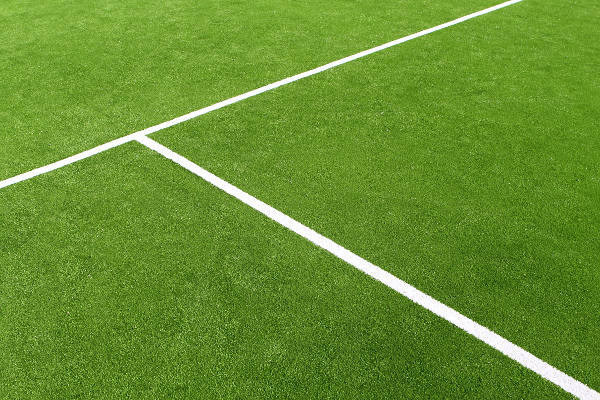 When used correctly and kept in good condition your tennis court surface can last more than a decade without significant wear, but this can be drastically reduced if the court is misused. Here are some tips for avoiding wear on your tennis court. If you have multiple people using your court then it is important to have rules. For example, if you have children who regularly bring round friends to play, it is vital that there are rules for them to follow. Children may be tempted to use the court for other purposes such as for skateboarding or rollerblading, and this can seriously affect the surface. It’s often important to remember to do the simple things as they can make a huge difference to wear on your court. Sweeping your court regularly is a really important part of overall maintenance. Set aside time to sweep the court and make sure it is carried out at least once a week. It’s also worth breaking from the routine and giving the court a sweep any time that you see leaves or other debris on the surface. Standing water is very bad for the lifespan of your court. Your court should be designed to drain effectively, but sometimes this can be overwhelmed by heavy rainfall which leaves large puddles on the court. It is important to sweep away these puddles as soon as you see them forming. Leaving the water there will just allow it to eat away at the surface.